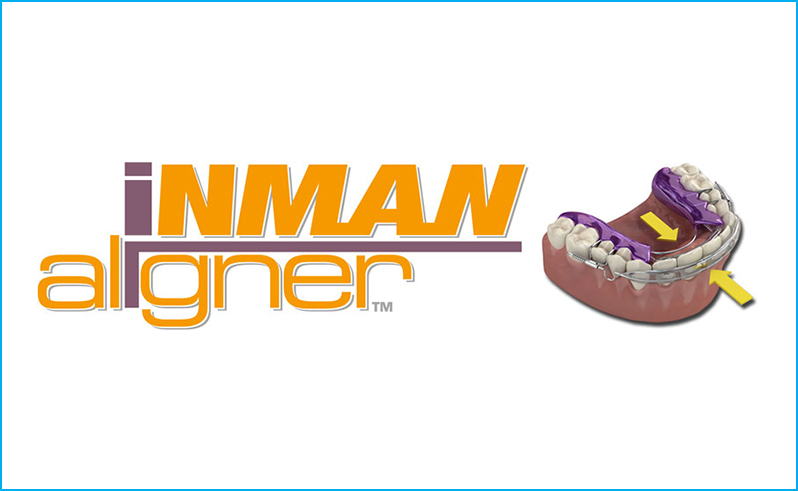 The Inman Aligner is an orthodontic treatment for those who are seeking the correction of their teeth. It operates through a small spring mechanism that applies the correct amount of pressure to re-align your teeth, but it is a treatment dedicated to the adjustment of the front teeth only. The Inman Aligner operates by two mechanisms that result in the application of specific pressure on targeted teeth. There is a bar that runs across the front of the teeth and a small titanium spring mechanism that exerts a force that efficiently pushes and pulls the teeth into position. The Inman Aligner also utilises a clear tray for utmost discreetness. It is possible to remove the aligner where and when you please (as long as you keep the aligner in for the recommended amount of time). On average the treatment can take between six and sixteen weeks. With the Inman Aligner, check-up appointments are not needed as much as other treatments and can range from once every three to six weeks. How will it be fitted? It will be necessary to have an appointment with your Hampshire Dentists so that they can assess whether the Inman Aligner is right for you. If your dentist feels the Inman Aligner is suitable, the process will usually take approximately four sessions to complete the fitting. A mould and/or x-ray of your teeth and mouth will be taken to create a custom aligner. Once your aligner is ready you will return to have it fitted. It is common that at first the aligner may feel uncomfortable and tight, but this is normal and will ease once teeth begin to move. After your aligner is fitted the dentist will arrange a couple of check-up appointments to monitor your progress and see if any adjustments are needed. Why Have Your Inman Aligner Fitted with Hampshire Dentist in Southampton? Our Principal Dentist Dr Robin Hanna is experienced in Inman Aligner fitting and has undertaken a year long course in Clinical Excellence. Dr Hanna maximises success rates by ensuring that the mouth is free of disease prior to placing implants. He uses meticulous techniques and scientifically proven materials to reduce the risk of contamination and infection. Extensive and genuine aftercare treatment is provided by the Hampshire Dentists team.